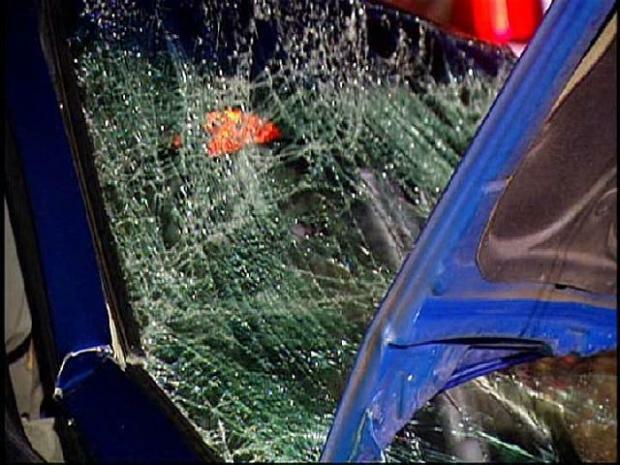 A cement mixer collided with two cars on northbound Interstate 5 near Palm Avenue Wednesday morning prompting the closure of the freeway. The truck driver told California Highway Patrol officers that a blue Suzuki was driving in reverse on the freeway around 1:30 a.m. It appears the driver was backing up diagonally across the highway officers said. The cement truck driver was traveling in the slow lanes when he swerved to try and miss the blue car but ended up violently rear-ending the small car. 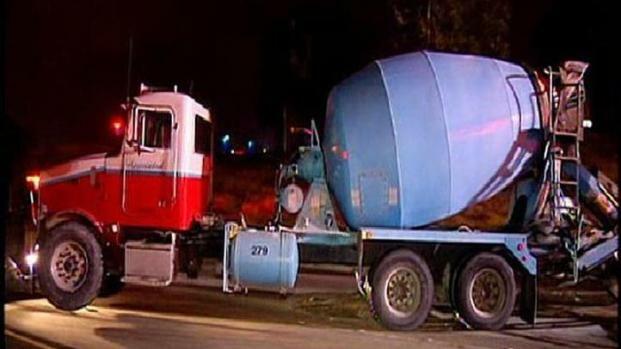 A man was killed when a cement truck collided into his car while he was apparently driving backwards on a San Diego freeway overnight. The truck swerved to avoid the car but lost control and rear-ended the vehicle, CHP said. Monica Dean reports. “He pushed the Suzuki a good 150 feet or so and when the cement truck driver slammed on his brakes, he lost control,” said CHP Officer Michael Mazon. The truck tipped over spilling cement onto the freeway. All lanes were closed while a major clean-up effort began. All northbound traffic was diverted off to State Route 905 until the freeway reopened around 6 a.m. The man behind the wheel of that blue Suzuki was killed in the crash. CHP officials at the scene said they believe the man was likely in the military, based in San Diego..
No one else was hurt in the collision. CHP is still investigating why that driver was going in reverse on the freeway.